Thanks to the release of Spider-Man: Homecoming, Adrian Toomes (AKA The Vulture) now belongs to an exclusive tier of Spidey villains that have featured on the big screen: Green Goblin (twice! ), Electro, Rhino, Shocker, Doctor Octopus, Venom, Sandman and the Lizard. Brought to life with great menace by Michael Keaton, who is no stranger to the comic book genre thanks to his portrayal of the Caped Crusader back in ’89, early reviews have painted The Vulture as one of the more formidable, nuanced villains in the entire Marvel Cinematic Universe. And considering that the studio has a history of fumbling its headline antagonists – a criticism that Marvel boss Kevin Feige has addressed in the past – Keaton’s addition to the fold has been welcomed with open arms. But what about the as-yet-untitled Spider-Man: Homecoming 2? 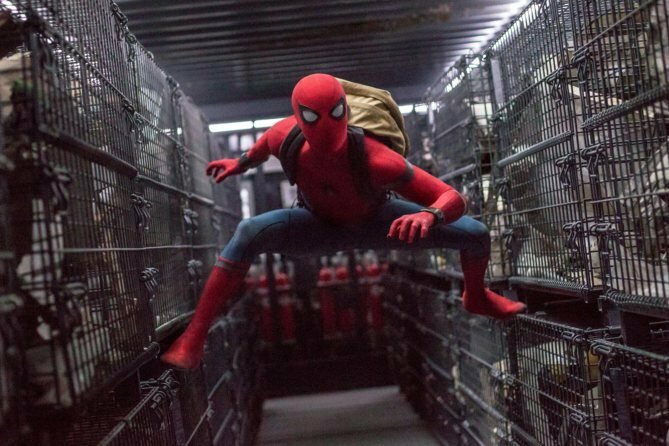 Aside from a July 5th, 2019 release date, firm details on Peter Parker’s next solo outing are naturally few and far between, though it seems safe to assume that writer-director Jon Watts will be back in the saddle once filming kicks off next summer. In terms of which villain will be joining that aforementioned roster of on-screen baddies, Kevin Feige tackled that very question in an interview with Toronto Sun, and it would seem that Marvel plans to incorporate a nemesis that Peter Parker has never come across before – in cinema, at least. We are excited to use characters that you haven’t seen before on screen. So that narrows it down a little bit in terms of who will pop up next. Spider-Man has an embarrassment of riches when it comes to villains and there are a lot that haven’t been touched upon. It’s those that we will be looking at first. Mysterio, perhaps? Or someone in the vein of Mister Negative and/or Scorpion? Chances are Marvel will stay clear of Kraven the Hunter, after rumors emerged that Sony Pictures plans to craft its own Spidey spinoff for Kraven soon after Venom launches next October. Before we get too far ahead of ourselves, though, Homecoming is due to light up theaters today, July 7th, and excitement is through the roof. But don’t just take our word for it; Mark Millar, the celebrated comic book scribe behind Civil War and the Kingsman series, even went so far as to claim that Spider-Man: Homecoming is the best Marvel movie yet – and that includes those films that released through 20th Century Fox. Just out of Spider-Man and this might be the best Marvel movie so far. I'm absolutely serious. This is a perfect 10. No, I don't. Google me. I've been bored by as many as I've loved. Spider-Man: Homecoming opens in theaters today, July 7th. But will you be contributing to the film’s box office tally this weekend? Do let us know.